Harvard law professor Alan Dershowitz defended President Donald Trump’s Supreme Court pick Brett Kavanaugh on “Fox & Friends” Tuesday and rebuked liberals for their vocal opposition. “He went to Yale law school and he taught at Harvard. 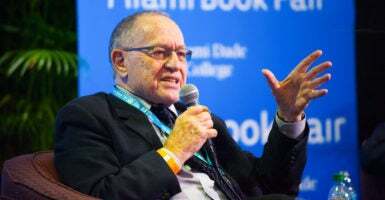 What can be wrong with that,” Dershowitz said. Dershowitz also discussed Massachusetts Democratic Sen. Elizabeth Warren’s comments about Kavanaugh and said she was only disparaging him to fire up her voter base.